Tomorrow, more than 50,000 Queensland Year 12s will graduate. These young people have seen more versions of the iPhone than state elections during their short lives. Change is a constant companion for these members of the iGeneration and will be for life, with predications they will face 17 job changes and five careers. If this is the future for today’s graduates, what will it look like for the youngest Prep students when they graduate in 2029? Many independent schools are already re-imagining their approaches to education. In addition to providing students with a comprehensive grounding in the basics of literacy and numeracy, they are also working to equip them with the skills and capabilities required not simply to secure the jobs of the future, but to also create them. Disappointingly new visionary long-term education policies, which go beyond the provision of future school infrastructure, are yet to feature prominently in the 2017 Queensland State Election campaign. This is particularly concerning given that Queenslanders can now cast their vote at pre-polling booths across the state. Decisions governments make about education today matter even more tomorrow. A long-term view is needed when measuring impacts on student outcomes. Moving state and national results, even incrementally, takes sustained and ongoing effort. Evidence-based education policies take time to develop, trial and implement. 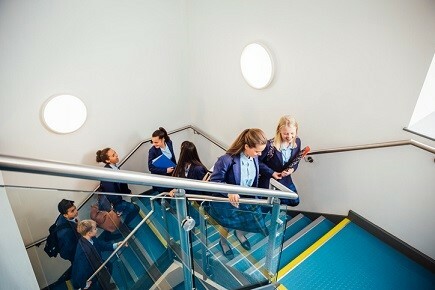 It took several years to enact major state-wide reforms such as Queensland’s “learning or earning” laws, the Prep Year and moving Year 7 to high school. When these extended timeframes are considered against heightened public expectation and political appetite for immediate results, the challenge for meaningful education reform becomes apparent. Many of the big reforms of the past decade have been structural in nature and sought to bring Queensland into line with other states and territories while lifting student participation and achievement. In line with this there has also been an increasing trend towards nationalisation of education through more direct federal funding interventions and initiatives such as the Australian Curriculum and national teacher standards and performance accreditation. Much has been made of Australia’s declining results in the Programme for International Student Assessment (PISA). However, an examination of the results of Australian independent school students reveals they achieved results that put them first in reading and second only behind Singapore in science. Policy makers should spend more time looking inward than outward for evidence of education practices that are driving student achievement. There are stunning examples of excellent teaching, inspired leadership and outcomes-driven programs at work in Queensland schools. Our state is poised for the next major education reform agenda. Vast amounts of research have already confirmed the key planks need to include quality teaching, empowered autonomous school leadership and evidence-based initiatives tailored to Queensland schools and their students. Queensland has strong foundations and a talented education workforce on which to build. Independent schools look forward to working in partnership with the next Queensland Government, and the state and Catholic schooling sectors on transforming education for the future. David Robertson is the executive director of Independent Schools Queensland (ISQ).